Did you know that the Isle of Wight has the most hours of sunshine in the whole of the UK? Add in amazing beaches, a stunning coastline and loads of toddler friendly days out, and you have all the ingredients for a happy holiday. Read on for the complete guide on the best places to stay in the Isle of Wight with babies and toddlers. 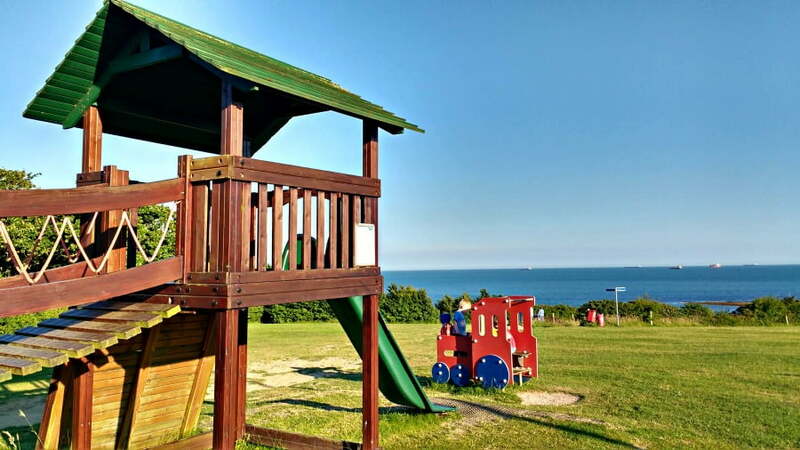 Away Resort’s Whitecliff Bay, is a fantastic place to stay with toddlers in the Isle of Wight. Recently refurbished, Whitecliff Bay has loads of facilities for toddlers including 2 playgrounds, an indoor and outdoor swimming pool, onsite entertainment – and best of all its own private beach within walking distance of the park. There is a range of accommodation at Whitecliff Bay including quirky caravans, classic camping, luxury lodges or chic little chalets. Whitecliff Bay also has lots of amazing activities for toddlers such as Pirate Play, Superhero Academy, Mad Scientist Workshops, Sand and Slime and Lava Lamps. This is in addition to puppet shows, storytime sessions, balance bikes classes and parent and toddler swimming lessons. Short breaks at Whitecliff Bay start from £160 per family. Nettlecombe Farm Cottages are ideal for families looking for somewhere to stay with babies and toddlers on the Isle of Wight. The luxurious cottages are located on a working farm just outside the seaside town of Ventnor, where there is an excellent outdoor paddling pool which is perfect for toddlers. There are beef cattle, sheep, ponies and donkeys in the meadows, and children can help feed the alpacas, chickens, emus, geese, pigs and donkeys in the daily animal feeding sessions. You can even meet Comet and Dancer – the resident reindeer! There is also a toddler play area including a big Wendy house, wooden tractor and rustic climbing play facility. And when they have finished playing, they can just run around and let off steam in one of the three grassy play areas. Woodside Bay Lodge Retreat is a stunning retreat on the North East shore of the Isle of Wight. With access to a beautiful shingle beach and surrounded by glorious woodland, you will have the best of both worlds at Woodside Bay Lodge Retreat. The harbour town of Ryde (with an amazing beach!) is close to Woodside Bay, and Cowes is less than 10 miles away. 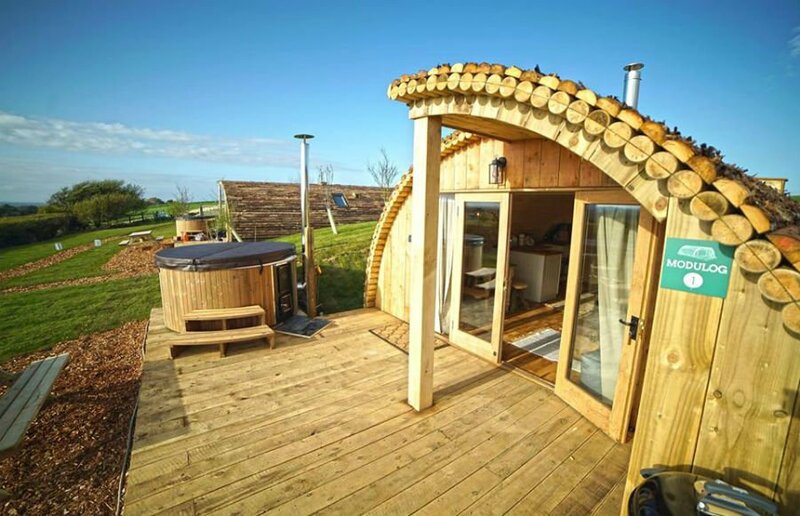 Woodside Bay was only opened in 2016, and has luxury holiday lodges and even treehouses with their own hot tub. The lodges are designed to feel like a home away from home with beautiful furnishings, comfy bedding and mod cons such as flat screen TVs, Freeview TV, iPOD docking stations and free WIFI. There is also a spa, state of the art gym and beautiful woodland walks around the retreat. At the end of the day, head to the brand new restaurant serving delicious food. The emphasis is on peace, relaxation and getting back to nature at the Woodside Bay Lodge Retreat, so this is definitely the place to go if you are looking for a luxury chill out holiday with excellent onsite facilities. Hidden away on Tapnell Farm Park, are Tom’s Eco Lodges, with 5 luxurious safari style tents, 2 wooden cabins, 2 eco-pods and new for 2018 – Modulogs! Modulogs are cosy pods which are fully insulated and kitted out with heaters, comfy sofas (which fold out into sofa beds), log burners, dining tables, compact kitchens with all the essentials, two bedrooms, and separate shower room and toilet. WIFI, and electricity for lighting and plug sockets is included. Outside, each modulog has its own decking area, BBQ area and log burning hot tub designed for 2 people. Families can visit the Tapnell Farm attraction (payable extra),which is perfect for toddlers and small children with mini tractors, an indoor playbarn, go karts, jumping pillow and lots of cute animals to meet. Tom’s Eco Lodges are also close to Compton Bay, which is one of the island’s best stretches of coast with plenty of places to go paddling and sandcastle building. 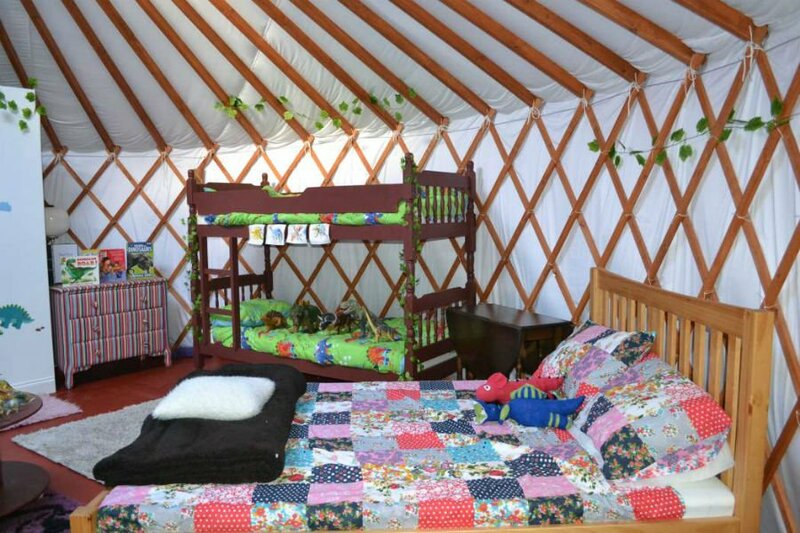 I love the sound of these themed yurts, which are designed for families with toddlers and young children. Choose from a dinosaur, enchanted woodland or under the sea themed yurt, which also have hot water, electricity, a kitchen and an ensuite shower room with a flushing toilet. There are wood burners inside the yurts for cosy nights, handmade draft excluders and comfy beds with memory foam mattresses. All bedding and kitchen equipment is free of charge including bed guards, and cots. WIFI is not available so you can enjoy total relaxation! Rookley Country Park markets itself as an ‘exclusive country retreat’ set in 23 acres of parkland. There are cottages, lakehouses and caravans for guests to stay in, and new for 2018 is premium accommodation with luxury amenities and beautiful furnishings. Families will love the onsite facilities which include an indoor and outdoor swimming pool, adventure playground, bike hire and amusement arcade. 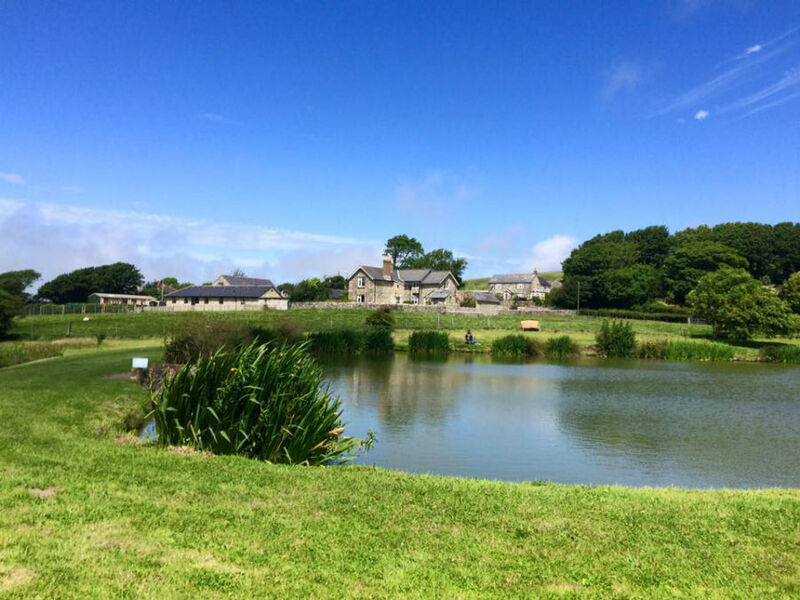 There is also an on-site bar and restaurant, entertainments lounge, activities every day during school holidays, and two fabulous fishing lakes to enjoy. The park is close to Amazon World Zoo and Sandown. Lower Hyde Holiday Park is a holiday park in the Isle of Wight. There is a heated outdoor swimming pool with sunbathing area, an indoor swimming pool, sports court with playground, and amusement arcade. Guests can also use the facilities of the sister park, Landguard, just a short walk away. There is evening entertainment, including shows and themed nights, and an onsite bar and restaurant. The beach, and the resort of Shanklin is a 5 minute drive away. Don’t miss a trip to the historic Shanklin Chine gorge! 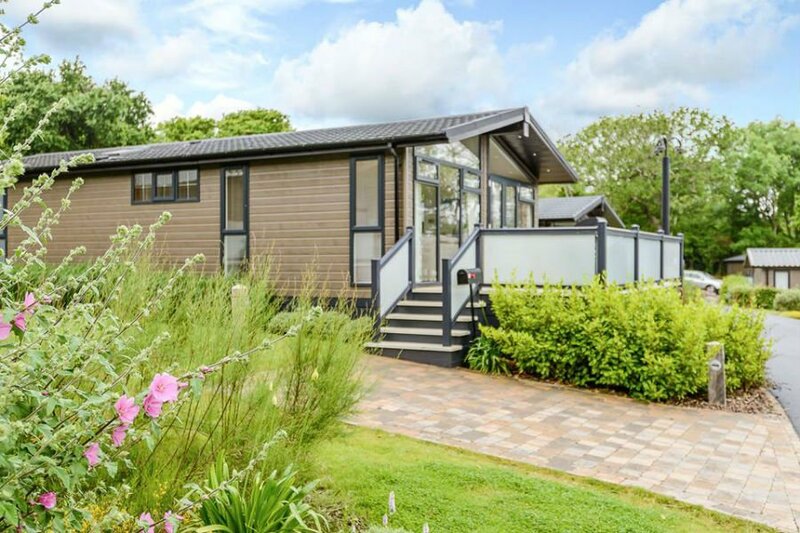 Chalets, caravans and glamping are available at Lower Hyde Holiday Park. Prices start from £179 per 3 night break. 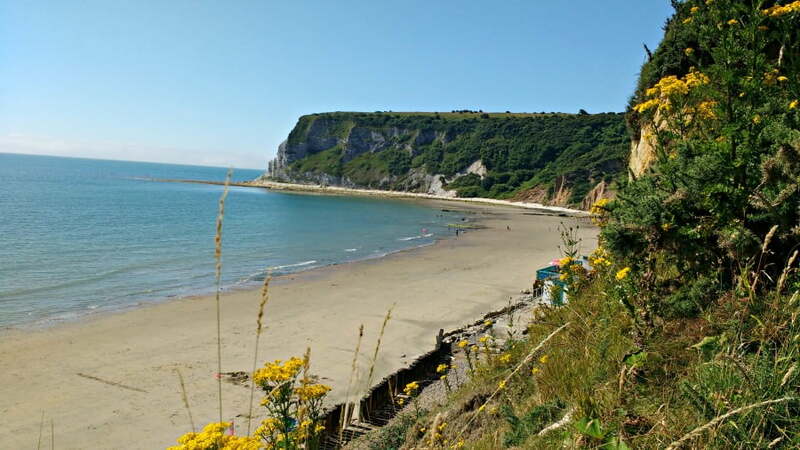 The Nodes Point Holiday Park is a beach goer’s paradise with Priory Beach at the bottom of the park, and St Helen’s Beach a short walk away. The park is also located near the exclusive village of Bembridge and ferry terminal from Portsmouth. There is a sports court, adventure playground and indoor heated swimming pool with waterslide onsite as well as the Boathouse Bar and Restaurant. 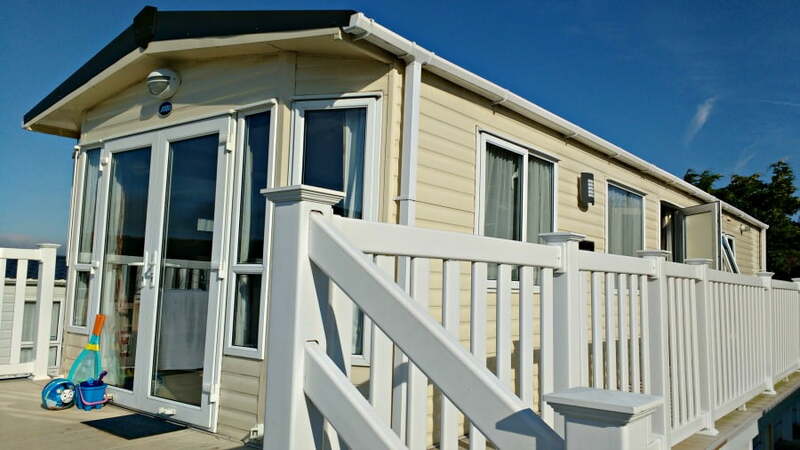 There are 2 and 3 bedroom caravans available which can sleep up to 8 people. Nodes Point also has its own Glamping Village with huge safari tents with a fitted kitchen, electric lights and sockets and a furnished decking area. 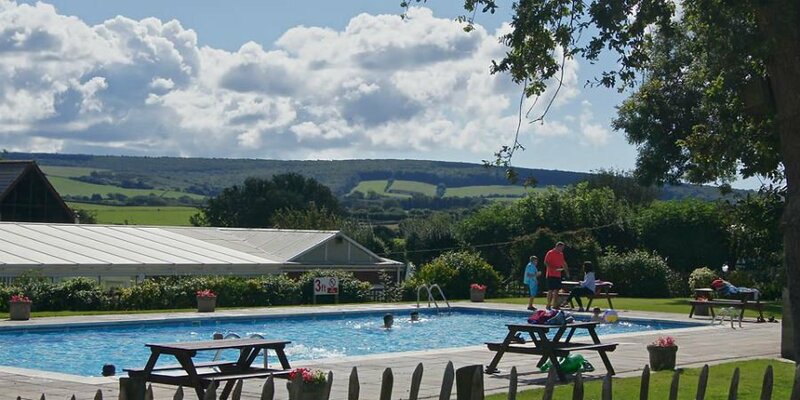 The Orchards Holiday Park is the place to go if you looking for a holiday park which provides camping, caravanning, motorhome pitches and holiday homes. The family owned park is situated on the edge of an Area of Outstanding Natural Beauty with stunning views from the park grounds. There are grass, hardstanding and water serviced pitches for touring caravans, motorhomes and tents as well as 65 top quality static caravans. 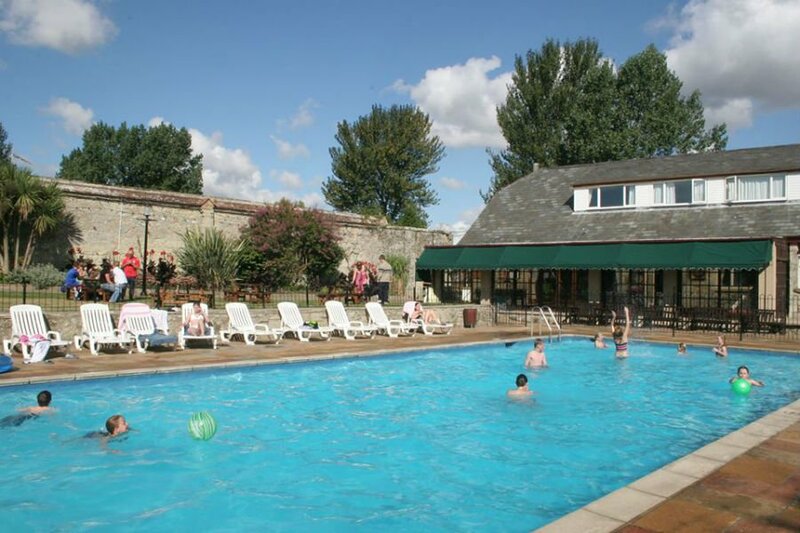 There facilities on the Orchards Holiday Park are excellent with an outdoor and indoor heated swimming pools, take away, shop, pool tables, table tennis and amusements. The Bay Colwell is a small resort of cottages, which are just a short stroll from the wonderful Colwell Bay beach. There is an indoor heated swimming pool, tennis court, outdoor play area, and a friendly and helpful concierge service. All the cottages have WiFi access, a welcome pack and games to enjoy. Some of the cottages even have their own hot tub. Highchairs and cots are available free of charge. Pets are welcome in these cottages! 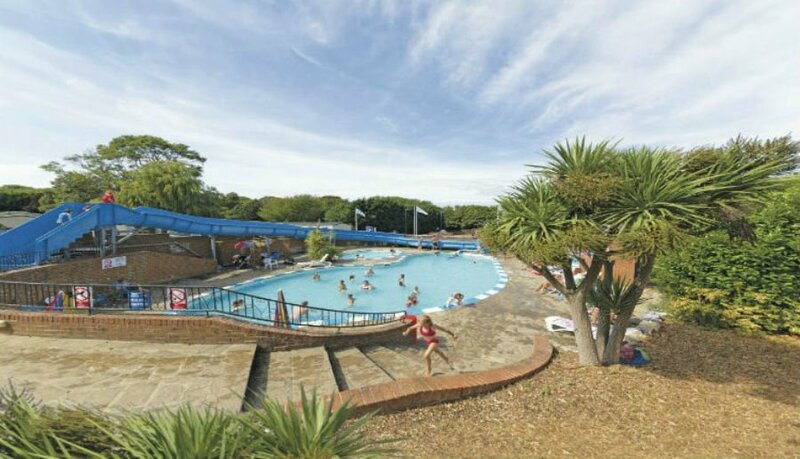 Appulducombe Gardens is a 5* holiday park located within an Area Of Outstanding Natural Beauty in the Isle of Wight. The site has 130 touring, motorhome and camping pitches as well as 40 static caravans situated within a traffic free walled orchard, which is perfectly safe for young children. The park is just minutes by car from the superb beaches of Shanklin, Sandown and Ventnor. The park has fantastic facilities for families including a sheltered outdoor heated swimming pool, toddler swimming pool, shop, café, launderette, children’s play area, football pitch and crazy golf. 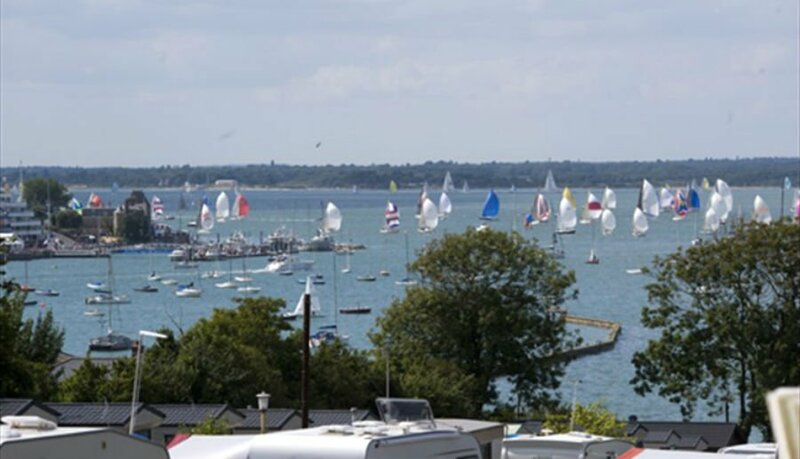 Waverley Park is a family run holiday part situated in Cowes. It has direct access to the promenade east of the River Medina and has panoramic views over Cowes Harbour and the Solent. There is a licensed Club House and terrace which is open during the high season, and has family entertainment and home cooked evening meals. There is heated outdoor swimming pool and paddling pool (high season), free cots and highchairs, table tennis and children’s play area. The park is within walking distance of the Red Funnel’s car ferry terminus and West Cowes. The West Bay Club and Spa is located in West Wight, and has New England-style houses set in 15 acres of landscapes grounds which are gated and safe. Toddlers can run around freely and play games on the grass and older children can ride their bikes and scooters on the open pathways. Children will love the outdoor play area, outdoor splash pool, and activities such as wet ‘n’ wild fun sessions in the pool, table tennis, gymnastics and much more. Parents will love the fitness classes – there are over 60 to choose from, and visiting the Island Wellness Spa offering Aromatherapy sessions and treatments. Can you recommend any amazing baby or toddler friendly places to stay in the Isle of Wight?